Each noodle has a weight capacity of 200 lbs. Water Log 58-inch x 2 1/2-inch Dia Noodle Pool Toy Variety Pack (20-Pack) The amazing Water Log Noodle is America's #1 selling pool toy! These indestructible pool toys will be an instant hit at your pool. 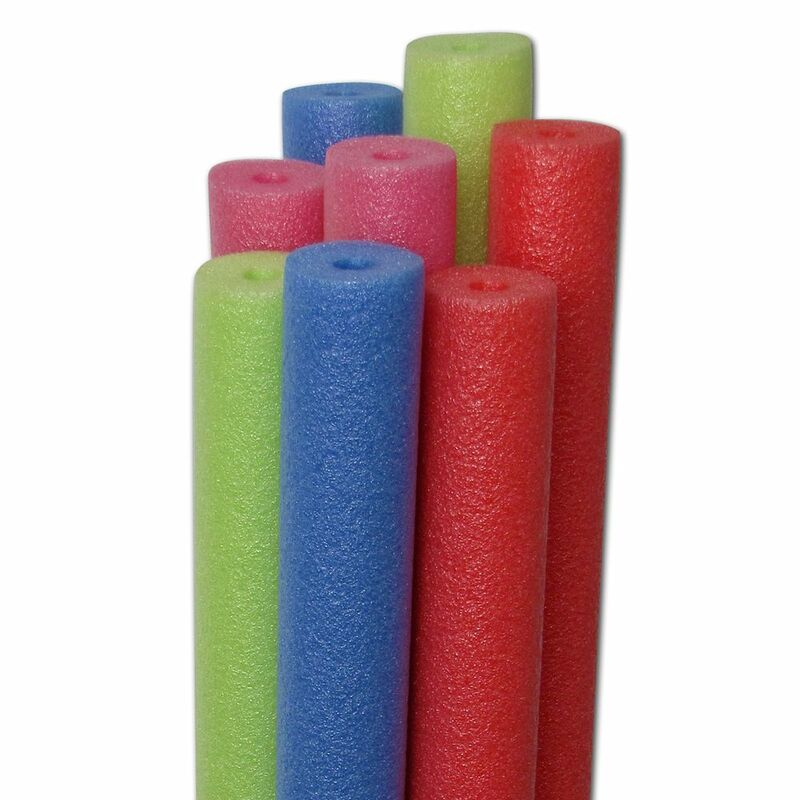 These long, soft, closed-cell foam tubes will provide endless entertainment. Float on them, play games with them have a blast with them all summer long! Water Log Noodles measure approximately 58 inches L by 2.6 inches Dia and float over 200 lbs.